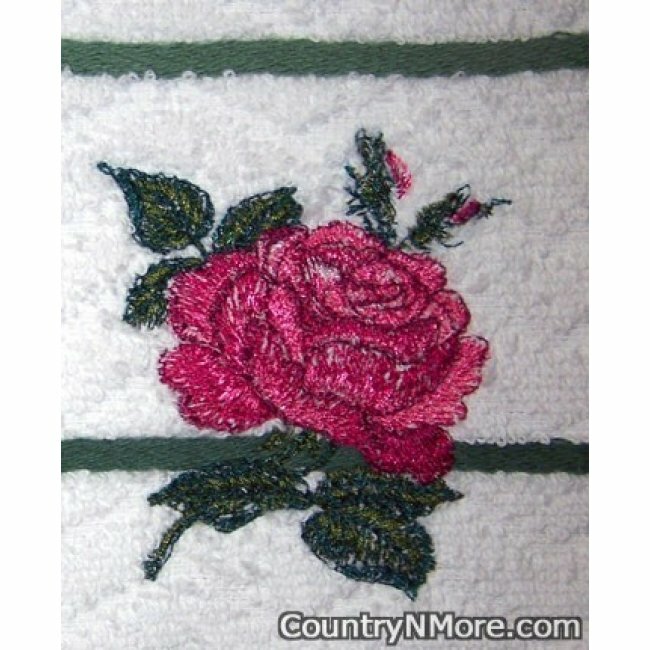 This gorgeous embroidered rose towel has light and dark pinks. 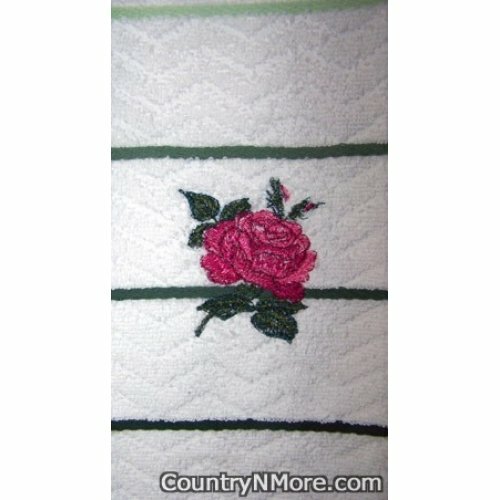 The machine embroidered rose has been done on a heavy white towel with small green tone stripes. This towel would make a great present for that special someone in your life, and it would be a great item for you as well.